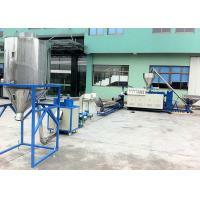 The machine consists of extruder assorting with relative granulating auxiliary machine. 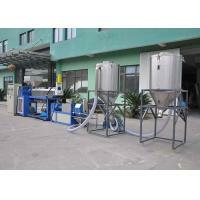 It is mainly used in the processing of PVC granules and grains produced and uniform, dense and beautiful to look at. 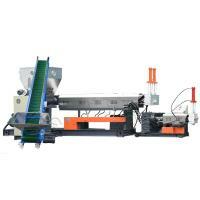 The machine has same features. 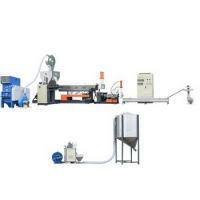 It can fine plasticizing, high productive efficiency, impact construction in the whole machine and high automation, adopts conical twin screw installs on the extruder, and the PVC material mixture with other material,such as: CaCO3, CPE, static, wax and so on. 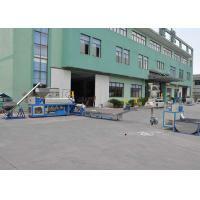 The granules/ pellets can be used to producing PVC profiles and shoes, and so on. 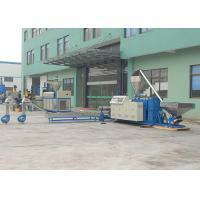 This machine with twin screw extruder, pelletizing/ granulating mould, hot face cutting machine, hot wind convey system for discharge. 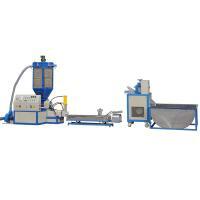 This extruder can process rigid and soft PVC. 1. We can provide custom-made packaging. 2 . Prompt deliver at the very day. 5. 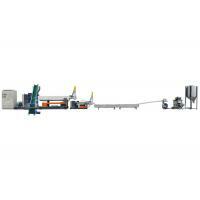 Sophisticated and professional logistic agent..
2. 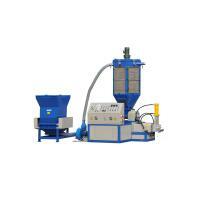 The biggest manufacturer of plastic pelletizing machine in zhejiang province . 3. 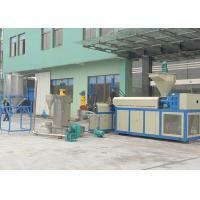 3000 pcs quatity of pelletizer in one year .300 pcs quantity of recycling machine in one year. 4. Promise:We will provide technical support for all lifetime with over 20 years experiences. 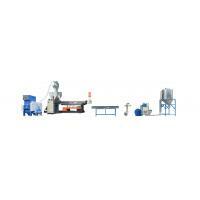 NINGBO LVHUA PLASTIC & RUBBER MACHINERY INDUSTRIAL TRADE CO.,LTD. 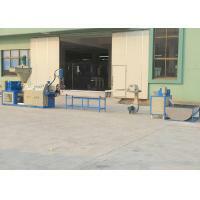 is a professional manufacture of plastic recycling machine and pelletizing extruder.And it has been in plastic recycling filed for almost two decades. We started our career from a small workshop of plastic pelletizier in year 1992.Our branch office put into operation in august 2011 named NINGBO LVHUA PLASTIC & RUBBER MACHINERY INDUSTRIAL TRADE CO.,LTD.The site covers an area of twenty thousand square meters.We have modern technology center and all kinds of processing equipment with testing facilities.Our company always take customer satisfaction as purpose,customers constantly support and identity.Always continue expanding our market and promoting our technology progress. Our equipment have already had many invention patents now.passed ISO9001:2008 certification.The plastic pelletizing unit has passed the CE authentication security.In 2007our LDA series are on national torch plan projects.In 2008 our company was awarded the ningbo high-tech enterprises.Ans the company take the national innovation fund projects in 2009.In 2010 we established another branch company,named Lvhua plastic and rubber machinery industry&trade co.,ltd.In 2011,we once again approved as a high-tech enterprise and finished Nation’s Fund Project.In 2013,we attend K show in Germany.In 2015,we are invited by CCTV. We are the Green Island you are searching for. 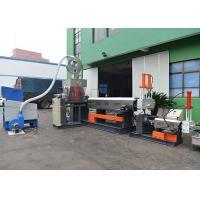 ---Environment protecting resources recycling cycling economic developing. ---Continually explore applying of rubber&plastic materials in new filed.